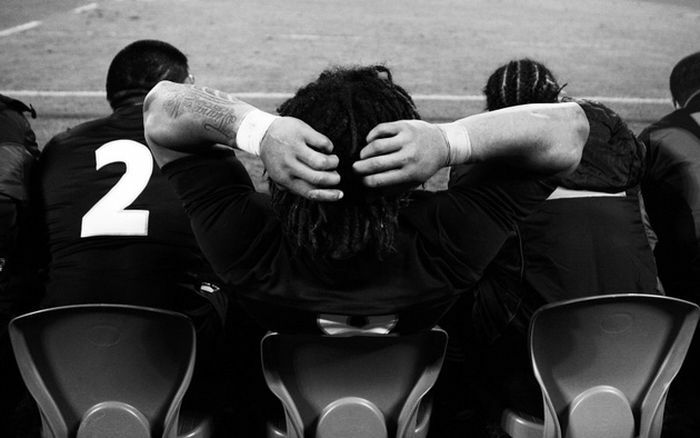 The All Blacks reserve bench. PHOTO: Google. Bevan Holmes was an athletic and durable loose forward from North Auckland who started 31 games for the All Blacks between 1970 and 1973. Holmes holds the record for most All Black games without a Test. Despite touring four times with the national team, Holmes will never receive an international cap. Tyrel Lomax, at best a sixth choice prop, has already attained a Test cap after his brief appearance in the All Blacks win against Japan on Saturday. Colin Meads played 55 tests for the All Blacks between 1957 and 1971 and is rightly recognised as a giant of the code. Charlie Faumuina played 50 tests between 2012 and 2017, starting a mere 12 times. With respect to Faumuina, his contribution to All Blacks history shadows that of Meads, despite literal records showing he only had five fewer caps. Is it time for a new system of capping to be conceived to illustrate metrically the varying weight of appearances for the All Blacks? Meads started every test he played, racking up many more minutes than Faumuina, but in Meads era the bench wasn’t a major factor in the game. Since the start of 2016 the All Blacks have emptied the entire bench in every Test and won 34 times in 39 matches suggesting the introduction of reserves is an integral factor in maintaining a high winning percentage. Returning to the case of Holmes and Lomax. Long tours don’t exist today so the chances to blood new players only exists in internationals. Is Holmes relatively long All Black career less worthy though because he didn’t play a Test? The NBA records minutes played. Should the All Blacks do the same? Many high school First XV’s and senior club sides have various methods for rewarding consistency of appearances. Typically a threshold has to be reached to earn a cap, pocket or blazer for example. Should the All Blacks adopt a similar system? All Blacks work incredibly hard to reach national status. All names deserve to be recorded, but within the All Blacks themselves there needs to exists a measurable hierarchy of achievement to maintain the integrity of the jersey. It should be stressed ‘confetti caps’ is hardly a new phenomenon. In 2001 and 2002 coaches John Mitchell, Wayne Smith and Robbie Deans created 33 new All Blacks. Names like Nathan Mauger, Keith Lowen, Paul Steinmetz, Sam Broomhall and Jason Spice came and went quickly. The All Blacks team against Japan on Saturday featured eight debutants and was the least experienced of the professional era. How many of these players are genuinely worthy of being capped All Blacks?